The most extra-ordinary director working to day, is a visionary, he has making film right from the best decade for films (70's) to today, with contemporary directors. His filmmaking is like no other, the message in his films are given in poetic ways. He has crafted seven films, out of six are masterpieces. 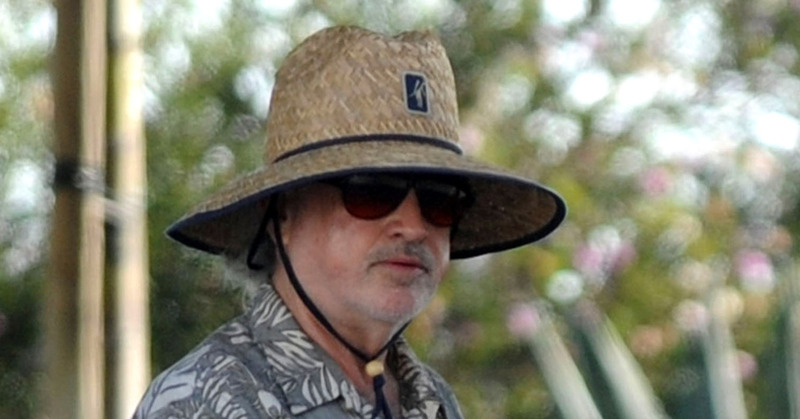 The uniqueness each of his films have is what special about Malick. I have found this with Andrei Tarkovsky or Terrance Malick. His film are more then just watching, you can feel his films, you dwell in Malick's world when you are watching his films. Though he is a filmmaker not for everyone, there are very few out there who respect Malick's work, he needs time, really his films need to be seen again and again, to gain more knowledge and to understand the film better. His films are so visually stunning, that some times our eyes can even say, yes this is beautiful. This film is up there with one of the best debuts of all time, this is was an epic start into the legend's career. From this film itself, it was clear that Malick is a visually stunning director. This is Malick's only Crime related film, and he showcased this topic in his own unique style. The plot of the film couldn't be more simpler, but this film showcases it like a sweet little violent film. Thought it is more of a love story, and in the 95 minute run time, Malick accomplishes to develop his character so well, that at the end, which I dare not spoil, I felt emotional. This might be one of the few Malick film which is straight-forward and the one's that everyone enjoyed. This film is a masterpiece. Favourite Scene: The walk scene. Favourite Scene: The chase scene. Then came the long gap, because of many reasons, and his ambitious work not get production and stuff. But Malick crafted one of the best War films ever made, it is up there with films like Apocalypse Now, Paths Of Glory etc. But it is different from them all. I would call this Malick's magnum opus, Though many will disagree with me, and naming it The Tree Of Life, that is also a masterpiece, but for me this stays his best and most mature work till date. The narration this time is made by different characters, and they saw, what are their inner-feelings. This film is emotionally rich, and understand's what is a war film. It is just not about showcasing the War, and it is just not about how many guns are fired by the army, it is about what a soldier goes through, what are his inner thoughts, and Malick managed to showcase it, the best way possible. Favourite Scene: The epic battle of war. Then, came Malick's first work of 21st century, this time he did a period film, and a film that is rich in showcasing romance. This film requires alot of patience, there is action in the film, but when needed, this film isn't about the action, it is all about how two civilisations get together. This remains Malick's most epic film till date. I can agree with you on this being a little slow-paced, but I think it had to be that way. This is as epic as Aguiree: The Wrath Of God, and as rich as any other Malick's masterpiece. It is better then most of the action packed, or emotionally romantic films today, all I could say is this, a word "Epic" is made for these types of films. Favourite Scene: The last battle. Known as Malick's magnum opus, Though I will disagree. But, still, again a masterpiece and a landmark in filmmaking, This is one of those films that could change you life, and this might be the most beautiful film ever made (arguably). This film deals with our society, and teaches lessons about it. This film is weird in a good way, it even has dinosaurs in it! It is a film about a father and a son's relationship, the bad teaching, the harshness. Compared to the epic 2001: A Space Odyssey, for it's philosphy. I get why it is called the best Malick film, because it might be the most human film of Malick till date, this is the project which he was working back in after Days Of Heaven, but it finally came all together, to be a classic. Yes, I would call it a classic, cause it fits the category well, or if objected, then it will be the very first films which will be known as classic in time. Favourite Scene: The epic montage with galaxies and planets. Yes, easily his weakest, yet still not awfully bad. This film is visually stunning like all other Malick films, but what makes me say this that this is his weakest is because of the comparison of this with all his other works, This is by no means, a bad film, it is a good film. It is the most experimental film of Malick, though I would quote all his works as experimental. It is a film which is very silent, but Malick's use of music in the films, makes it unique, if The Tree Of Life was search for life, this is a film about search for love. Though it is a good film, but not the best day for Malick. Favourite Scene: The opening scene. I hated this film, I saw it back almost a year ago, and didn't understand what was the point of the whole film, I watched it again, and still I was there only, almost hating it. 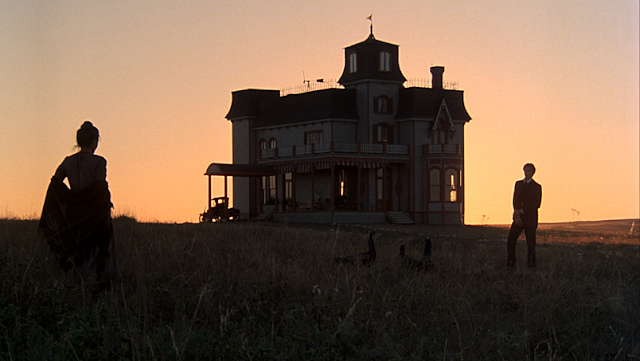 Though the cinematography was beautiful like all other Malick films, the music was astonishing, but then that was it. It wasn't untill another viewing couple of months back, I noticed, this is a film about search for life as well as love, a small mixture of couple of Malick's previous work. The story is told, from seven different female characters, their interaction with the main character (Christian Bale). 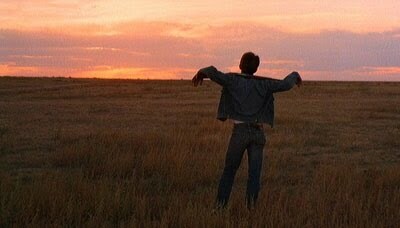 This might be the most difficult film of Malick to understand, but all it requires is viewings and more viewings. Favourite Scene: The montage with Natalia Portman's character. So, what is your favourite Terrance Malick film and why?